The success of your political direct mail campaign depends on a variety of factors, not the least of which is finding a direct mail and printing house that can help you accomplish your goals. We pledge to be that company for you. Reliability. Making sure your political direct mail works effectively as part of your overall marketing strategy can prove crucial when it comes to the results on Election Day. That’s why we go above and beyond to make sure your mail reaches the right touch point at the right time. Timeliness is not something we adhere to when it’s convenient—it comes standard for every political mail job we handle. Experience. We have over 20 years of experience working with political direct mail campaigns and political consulting firms. This means we not only know what to expect when it comes to handling a job, we know what is expected of us. We have a wealth of knowledge when it comes to executing political mail campaigns and we will apply our gathered experience to ensuring that your campaign runs as smoothly as possible. Security. We value our clients’ privacy and security, which is why we go to great lengths to ensure that all sensitive information is handled with discretion and care. With DDD, you can rest assured that your mailing lists, creative assets, and other identifying information is protected at all times. Convenience. It takes a lot to get a political direct mail campaign off the ground, and we know that anything that makes the process smoother adds serious value. Because of our experience and reputation in the New Jersey, New York, and Philadelphia metropolitan areas we can help you avoid some of the potential roadblocks that might stand in your way. 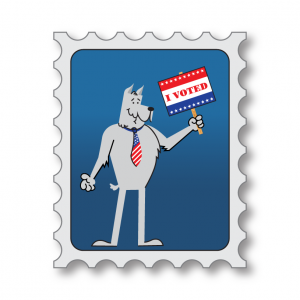 When it comes to choosing a direct mail house that can print, address, sort and deliver your political direct mail, make Digital Dog Direct your vote! To speak with a representative about our political mail services, get in touch!